The Noble Womens Gown is a three piece dress ensemble consisting of a chemise, bodice and skirt. The chemise is made of high end gold satin fabric. 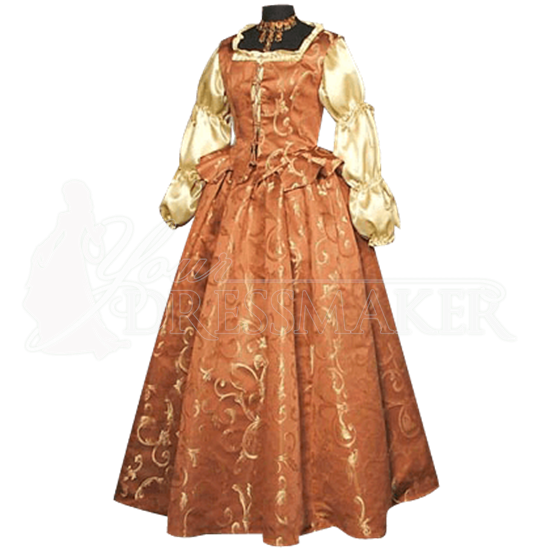 The bodice is made from a brocade damask fabric and fully lined. The skirt is made from the same brocade damask fabric as the bodice. 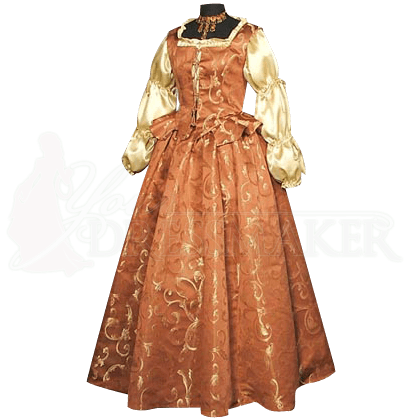 The Noble Womens Gown is great for Medieval Weddings, Renaissance Fairs and Medieval re-enactments. Be the star of your next fair or event with this beautiful Noble Womens Gown. Please Note: Delivery for this gown takes 15-20 working days.